Enrique to Liza: "To the woman that I call my forever..."
Liza Soberano and Enrique Gil make our LizQuen hearts go crazy every time they dedicate sweet nothings to each other online, effectively making us kilig and jealous at the same time. And no matter how simple or grand their gestures are, we're always assured of their sincerity - siyempre LizQuen 'yan, eh! And here on starcinema.com.ph, we compiled LizQuen's most charming and kilig-inducing appreciation posts for each other. And since Valentine's Day is fast-approaching, we can definitely take notes on how to compose the perfectly sweet message! "King and my Queen 👑"
"What is life without love? ❤️ Nothing. That’s why you’re my everything 😉"
"Every moment with her is a moment worth celebrating. Here's to a project where I didn’t feel like I was acting at all." "You're everything I wanted and more ❤️🙏"
"Happy Valentine's my ❤️ You have the biggest heart in the world that’s why hearts day is your day ❤️ Ikaw na talaga ang forever ko, I love you ❤️"
"To the woman that I call my forever, all I want is for you to be happy in all that you do. You fill the gaps in my life with your love, simplicity, and kindness, seeing you smile makes me feel completely and genuinely happy. I promise to make you smile for the rest of my life. I love you." "My favorite team, my favorite player Kobe Bryant🔥🔥 With my favorite person in the world." "Happy International Women's day to this goofball ❤ Thanks for making me a better man love you." "To more memories together ❤️"
"Never rush something you want to last forever. ✨ Grateful to have someone like you in my life." "Happy Birthday to my monkey ❤️ I thank God every day that our paths met. I wish you remain God-fearing, family oriented, and that your smile never fades no matter what obstacles may come up against you. Know that you are loved by your fans, your friends, your family, and me! Teehee ❤️"
"He whispers to me, 'Close your eyes love, people can see your heart right through them.'" 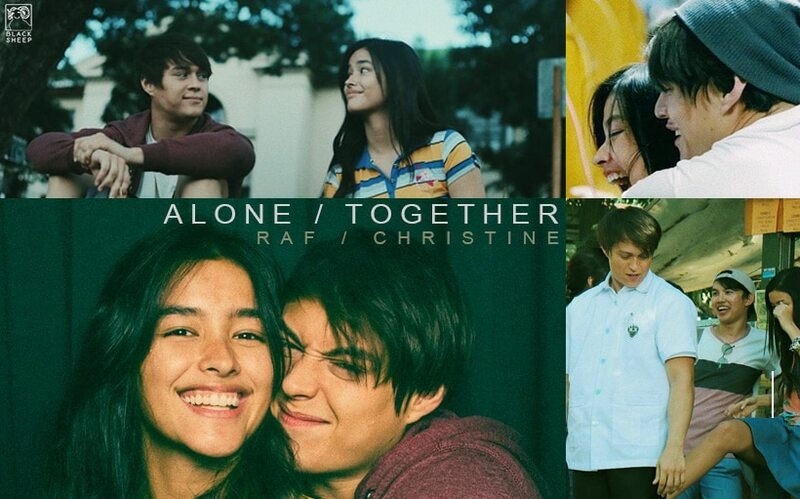 Join LizQuen this February 13 in their big screen comeback as Raf and Tin in Black Sheep's "Alone/Together" written and directed by Antoinette Jadaone. Liza is also set to star in "Darna" directed by Jerrold Tarog. Liza and Enrique also starred in the 2017 Cathy Garcia-Molina hit "My Ex and Whys". Enrique 'uno' sa puso ni Liza? !